Multiple reports claim that Apple’s iPhone sales are already on a decline but today a new report by The Wall Street Journal specifically targets Apple’s lack of success in the Indian market. In 2018 alone, almost 40 million people in India are understood to have purchased a smartphone for the very first time – a huge growth opportunity for companies – but around 95% of those devices cost less than $500. This leaves Apple battling against the likes of OnePlus and Samsung over an extremely small number of customers and losing. Throughout the years, Apple’s strategy of releasing just a handful of high-end products has worked pretty well in most countries but when it comes to developing markets it seems the company’s refusal to modify this strategy continues to hurt it. The Cupertino giant as a whole still wants to market its brand as an experience and, in order to do so, physical locations are a requirement. However, over in India, the company has been unsuccessful in creating its own stores due to government restrictions – at least 30% of manufacturing materials must come from India. And, while it does remain optimistic, such locations are unlikely to appear anytime soon. Essentially, this means that to Indian consumers there is no real reason to pay the premium Apple commands for its devices when a perfectly good Android smartphone can be acquired for significantly less. For the current fiscal year, it's claimed that Apple has generated around $1.8 billion in revenue, half of its reported goal. Nevertheless, the company does have a five-year plan that centers around its physical locations. If everything goes as expected, revenue should eventually reach $5 billion annually. But if the past is anything to go by, it's unlikely to be plain sailing for Apple in India. LMAF, hope this is just a roommer. If it is truth, I bet those shareholders just keep Apple stock keep go to the moon, and keep going to edge of the universe. In India they have $20 Android smartphones. Apple can't compete in that market. Apple spent money a few years ago to assemble iPhone SE's in India. They only started making iPhone SE's in 2017. Then Apple started making iPhone 6S's in 2018. Apple needed to find a dumping ground for their older iPhone components, especially since a lot of them we're still kicking around. Apple had less than 1% of the sales for smartphones in India. I can see that. Super high price, vs lower priced options, that actually do more...equals low sales. It's just so crazy that people won't spend $1000+ on a new phone when they can easily get one that does all the things they need for $300 or less, I wonder why? This is what happens when you put to much faith in the Jesus phone. $1000 for a 800p display. That is a frikkin ripoff. No fast charger, no adapters no premium headphones. Half the storage, cloud only give you 5GB, limited capabilities. All fluff no and no real substance. Here is what's funny. The original iPad is harder to bend then thr latest one. Shouldn't products get better over time? The quality of the iPhone has gotten worse over time. A report was needed for this? 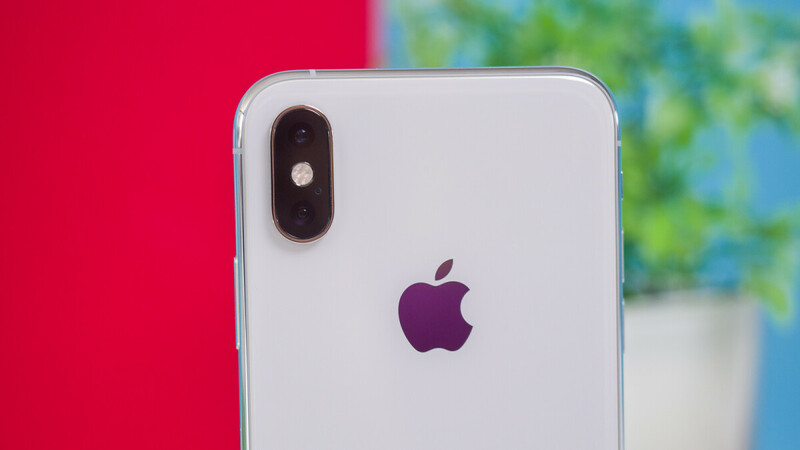 Apple should have priced the XR at $599, XS $699, and XS Max $799. Its that easy as they would have sold 2 times more. Being priced around $1000 makes many consumers hold on to their wallets for better tech to show up more than minor upgrade over the X. They're relying on older models for affordable options...not the best strategy. Yeah, they would’ve sold 2x more, but still reach same revenue? I know I would rather sell fewer quantities at a higher price for exclusivity than flood the market with cheap stuff. India is one of the poorest country in Asia. Why would they spend $1000 on a phone when the average person makes like $200 a month? If Apple can even capture just three to five percent of the market in India, that will mean a big chunk of money, not including any services Apple manages to also sell. That’s why Apple is trying so hard in the India market. Apple has less than 1% of the smartphone sales in India. Lot more people would have bought apple products in India, if they had similar pricing to US. This is actually something I talked about before when I thought Apple would release something in the $500 range to compete in India. Obviously they didn’t do that, which is why it was a very poor decision and one they are surely regretting. Question now is whether in April they’ll release a new low cost option like the SE or not? Even the IPhone XR is still costlier than the Samsung Note 9 here. So. Noooo! Seriously? That's why Samsung flagship sales dropped too. They were selling more when the price was low. And with each price hike, they started selling mess phones. It comes to a point where you gotta say no. There are a few people who want to buy high end phones. My personal experience, I wanted to buy either pixel 3XL or iPhone XS Max. Saw and experienced both phones in person. XS Max has amazing display, but it is almost $500 costlier than Pixel 3 XL. So I made the right choice and bought Pixel 3XL. Apple can keep their phone. You have a phone with a better camera. India is very different than US, obviously... In US, OP6T is a budget flagship. In India, OP6T is a premium flagship considering the cost is even same (520$). Almost 75% of OnePlus users from the OnePlus One days left OP phones. But still OP6 sold more than earlier, because it ate the market share of Apple, Samsung, LG, SONY, HTC, higher end Oppo and Vivo. We have Poco F1 with 6GB RAM for Rs19999 (274$), Asus zenfone 5Z at (Rs24999) 340$, Honor View 10 at Rs24999 (340$), LG G7 ThinQ Rs26999 (370$) during festival sales. Add to that 10% extra discount on CreditCard offers. I bought Poco F1 8GB RAM + 256GB storage + (SD slot) + DualVolte + 4000mAh battery + SD845 + Kevlar back @ just Rs25,500 (350$). Now who will buy iPhone XR 64GB non-expandable storage with 800p screen resolution for Rs76,900 (1054$). Even Galaxy Note 9 (with 6GB RAM + 128GB storage + SD slot + DualVolte + 4000mAh battery) is selling for Rs67,900 (930$) only. With NEW smartphone users adding about 40 MILLION every year, no sane smartphone company in the world can ignore India, in the near future.. We have so many choice, we speak with our wallet. No carrier subsidy exists here, which is the main reason apple is selling more even with such inflated prices in other countries. Further apple eco-system is almost non-existent here in India. Most of the useful local apps are almost missing in apple's app store, comparing Android. Even 50% of the Govt apps are missing for iPhone users in India. Now guess what, Apple wants to forcibly bring SUBSCRIPTION to premium apps (than one time payment in Android) in app store. So apple's aim for service revenue is also DoA. Even physical locations or own Co stores will be NOT enough to boost Apple sales in India, imho. It will actually increase cost, because prime location in Indian cities is NOT at all cheaper. I am sorry to say --- No, India is NOT as same as most western media depicts. We are NOT richer than developed countries. But NOT as poor as others think as well. Only better solution to get non-negligible market share in India, is to make ALL smartphones in India. Apple makes iPhone SE and 6 in India, which are the largest selling iPhones here. By making iPhones here, they can escape 20% import duty and other obvious cost savings. So, if one person who can help boost apple sales in India, he is Donald TRUMP and NOT Tim Cook. If US president imposed 20% tariff for iPhone imports from China, then apple will have no way than making all iphones in India. What dow e expect in poor countries? No sh!t Captain obvious! Fruit phones are overpriced everywhere!